There’s a new kid on the block at NHTSA, the National Highway Traffic Safety Administration. 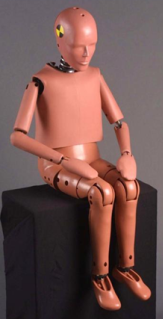 Last week NHTSA unveiled a new “10-year old child” crash test dummy – joining 12-month, 3-year and 6-year old siblings – for use in testing child restraint devices for older children weighing up to 80 pounds. This crash test advancement follows enhanced guidance on booster seat use with older children, issued last year by NHTSA and the American Academy of Pediatrics. As stated in their press release on February 21, 2012, NHTSA “recommends that children ride in a booster seat until they are big enough to fit in a seat belt properly, which is typically when the child is somewhere between 8-12 years old and about 4 feet 9 inches tall.” This is an important issue, as many kids are currently not restrained in a booster seat until they meet these guidelines, as I noted in a post in January of this year, entitled “I’m 9 Years Old – Do I Really Still Need a Booster Seat?”. 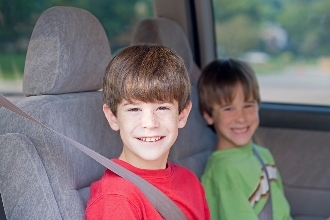 Despite the growing body of evidence supporting the use of booster seats for older kids, most states have not yet enacted laws in keeping with the guidelines – and, frankly, most parents just aren’t aware of the issue or need. Nevertheless, car restraint systems and booster seats for older, heavier kids have proliferated on the market in recent years….but no crash safety tests have been conducted for kids weighing more than 65 pounds. With the introduction of this new crash test dummy, parents will eventually be able to assess the safety and performance of car seats marketed for their older kids, as simulated in tests of a 30-mile-per-hour car crash. However, the data on your current booster seat may not be available for a while, as manufacturers have two years to conduct tests and ensure their restraints meet the safety requirements. But at least this is a development moving in the right direction.